Andrew Murray's thirty-one chapter devotional study is based on John 15:1-12. To the thirsty soul these chapters can open up an entirely new and blessed experience in fellowship and communion with Christ. 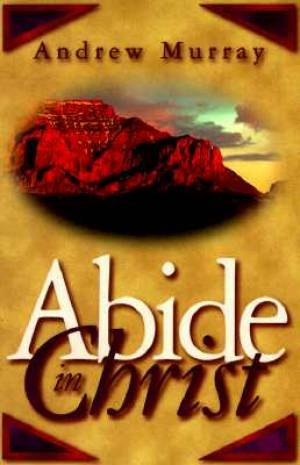 Abide In Christ by Andrew Murray was published by CLC Publications in April 1997 and is our 37814th best seller. The ISBN for Abide In Christ is 9780875087245. Be the first to review Abide In Christ! Got a question? No problem! Just click here to ask us about Abide In Christ.